If we now return to the year two thousand and look at what was happening in the eastern arm of the fertile crescent between the rivers Tigris and Euphrates. By 1950 BCE two city-states had carved out Empires in the south, Isin and Larsa. In North, the land was controlled by the cities of Kish, Babylon, Kazallu and Sippar. Within the hundred years that followed Babylon had conquered Kish; Kazzullu had conquered Sippar and both states began to encroach on the territory held by Isin. In the south, both Larsa and a newly emerged kingdom based on the city of Uruk had also taken land from Isin. Finally, by 1790 BCE, two kingdoms had emerged – Babylon in the North and Larsa in the south. The stage was set for the emergence of one of the great kingdoms of the ancient Near East. The origins of the first Babylonian Dynasty are vague. It is known that they were not native Akkadians, but were of Amorite descent. 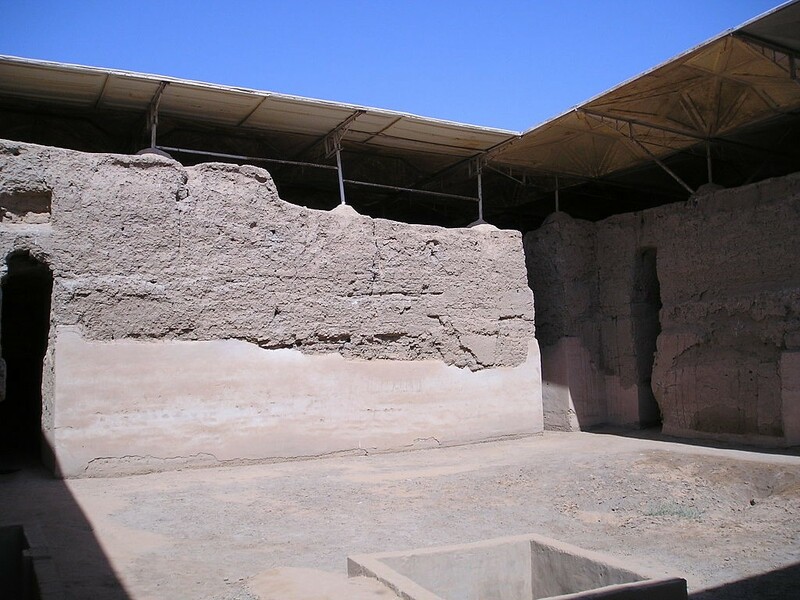 It may be that they too were either mercenaries or an exiled family which found itself in control of the then relatively unimportant city of Babylon. Beyond the dates they reigned we know very little of the early kings of this dynasty. Indeed even the dates, are somewhat speculative as there are in fact four competing chronologies for this period spanning a time difference of hundred and 50 years. Using the most commonly accepted chronology we know that the first ruler Samu-Abum (Sometimes referred to as Su-Abu) seems to have come to power in Babylon around 1830 BCE. The first king who we have any detail on is Sin-Mubillat, the fifth ruler of the dynasty, who succeeded his father in 1748 BCE. Up until this point, it seems that the rulers were content to hold onto the land they held immediately around Babylon, but Sin-Mubillat began an expansion of Babylonians territory which was to be continued by his son Hammurabi. 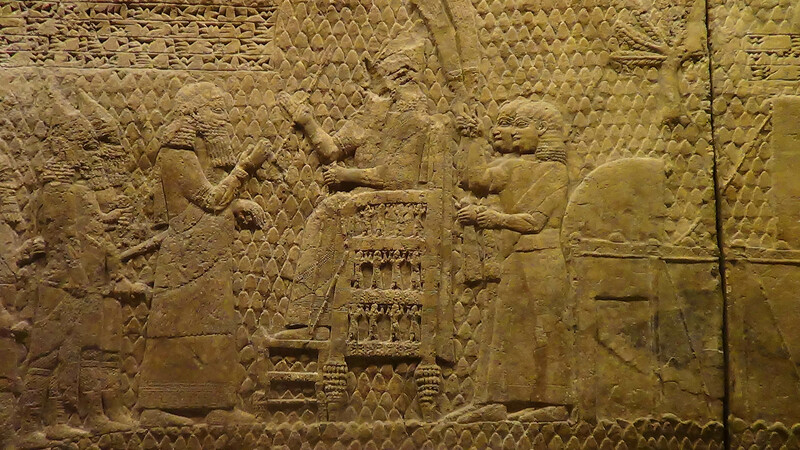 Hammurabi (standing), depicted as receiving his royal insignia from Shamash (or possibly Marduk). Hammurabi holds his hands over his mouth as a sign of prayer (relief on the upper part of the stele of Hammurabi’s code of laws). 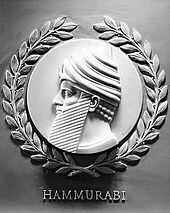 Hammurabi, his name means “the kinsman is healer “, came to the throne of the city of Babylon in 1792 BCE, probably on the death of his father, although some sources say that his father abdicated due to bad health. He spent the next 40 years consolidating and expanding the territory held by the Babylonians. 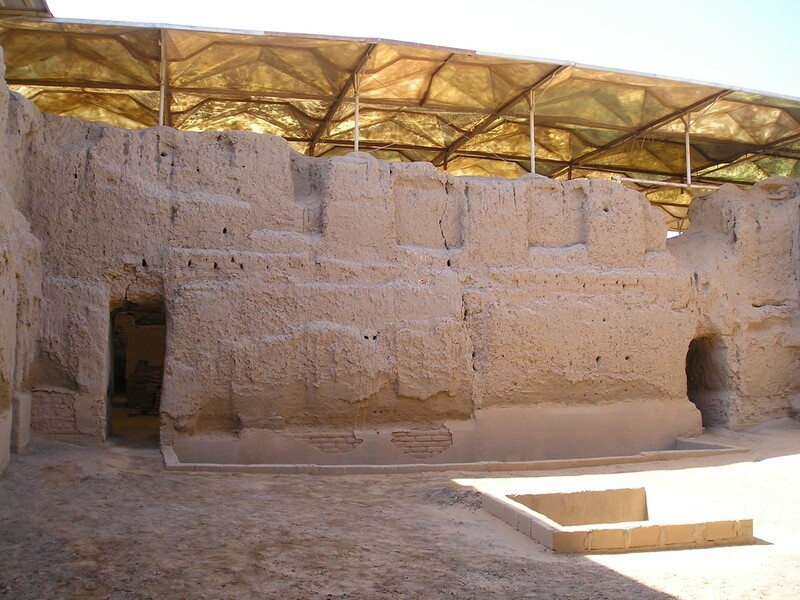 During this time Babylon emerges as the predominant city in the southern -eastern area of Mesopotamia. 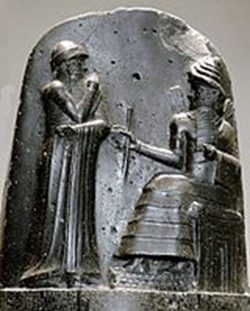 When Hammurabi came to the throne in Babylon, the areas we have come to know, as Babylonia and Assyria was predominantly controlled by two rival Kings, Rim-Sin, King of Larsa in the South and Shamshi-Adad in the north. 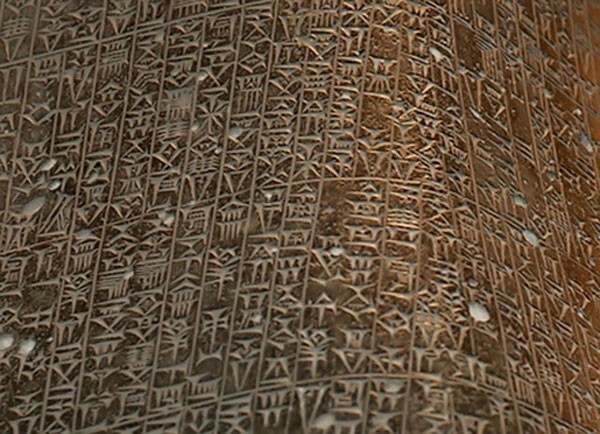 There have been some suggestions that initially Hammurabi may have came to power as a client king of the latter. In these extremely volatile times, no ruler could avoid being quickly drawn into regional conflicts. 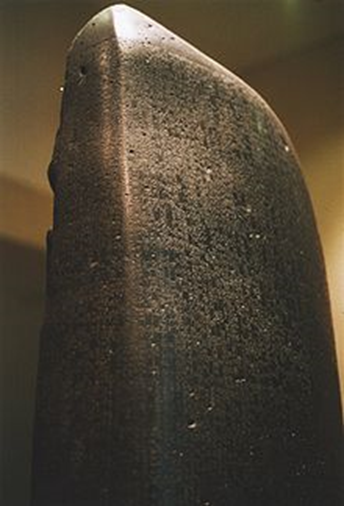 Records of Hammurabi’s early years mentioned a number of campaigns against his powerful neighbours, although the records are rather ambiguous about the outcomes. Nevertheless, these years honed his military, political and diplomatic skills. It seems that he also spent these early years consolidating his rule in Babylon and paying great attention to internal developments such as the digging of canals and the fortification of his cities, he undertook a series of public works strengthening the defences with a new city wall. He also built a number of new municipal buildings including temples. It was during this period that the city began to expand. Then in a period of just five years from 1776 to 1771 BCE, he established control over southern Mesopotamia, Elam and Larsa forming them into the first or Proto-Babylonian Empire. In addition, he forged alliances with lands further afield such as with Zimri-Lim in Mari, Yamkhad and the Levant and there is evidence that troops from these states aided the Babylonian army’s campaigns in the south. However, having gained control of southern Mesopotamia, Hammurabi’s gaze turned to the north. He took control of Mari, although the sources differ on whether this was a conquest, a surrender or whether the people of Mali believed that being part of this new empire was in their best interests and therefore submitted as willing partners. The lands of Yamkhad in the West do not seem to have been attacked. 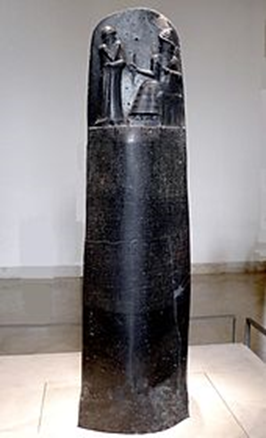 It has been suggested that this because Hammurabi realised that the larger his empire got the more difficult it was to control and thus he called an end to his westward expansion with the submission of Mari. He also appears to have defeated an army from the Assyrian lands to the north, which is recorded as paying him tribute, although he never incorporated their territory into the empire and they were allowed to continue as a self-governing kingdom, perhaps for the same reason mentioned previously. Following these campaigns, he added a new title ‘the King who made the four quarters of the Earth obedient’. Hammurabi enacted significant military reforms based on a standing army, backed up by a reserve. He is of course probably most famous for his law code. 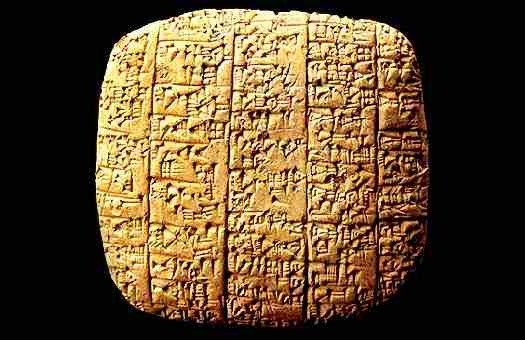 The code comprised of 282 laws, based on a pre-existing Sumerian law code, thought to have originated around 2000 BCE and the law code of Lipith-Ishtar, King of Isen from around 1900 BCE. I propose to return to the law-codes in another post. This political structure of the empire was disrupted around the year 1750 BCE with the arrival of the Mittani, an Indo-Ayrian people into the region. The settled in the North Central area of the Crescent, which at that time was occupied by a people known as the Hurrians. Like the Hurrians their place of origin is unknown. Unlike the Hurrians, the Mittani were a warrior elite and have been credited with the introduction of the newly evolved, 3-man light chariot into the area. These chariots had a complement of three warriors each; an archer, a spearman and the charioteer. Study of their religion reveals a divine pantheon not dissimilar to that of early Hinduism, which may suggest that they have a similar origin as the civilisations which settled in the Indus Valley. 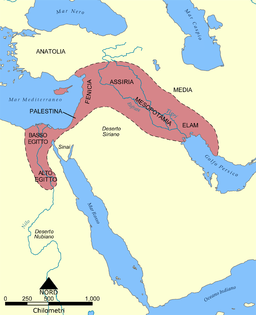 The Mittani incorporated themselves into the Hurrian kingdom. Best guess estimates are that they made up only about 5% of the population, but because of their military prowess, they took over as the ruling elite of the kingdom. They abandoned the accommodating, non-militaristic, stance that had been followed by the Hurrians and began expanding into the Mediterranean coastlands, Northern Syria and to the Southeast into Assyria. The death of Hammurabi in 1686 BCE, saw an immediate downturn in the fortunes of the Babylonian Empire. The Assyrians asserted their independence and a new native Akkadian kingdom arose in the area of Sumer. Hammurabi’s son, Samsu-iluna seems to have been unable to prevent these successions. The first Babylonian Empire was to struggle on for another hundred and 50 years, but this time saw the gradual reduction in the land that it held until under the last ruler of the dynasty, Samsu-Ditana it is suggested that the empire was no bigger than it had been when Samu-abum had first taken the throne 300 years before. The 1530’s BCE saw the height of the Hittite Empire. The wonderfully named Mursilas the first, led an ambitious raid South West through Hurrian-Mittani territory, Assyria and onto Babylon, where he proceeded to sack the city. However, trouble at home forced him to withdraw from the areas he had subdued and returned to the Hittite homeland. Here he was promptly murdered, apparently by nobles angry at the effects at home of the absence of their king and of his foreign campaigns. Whilst Mursilas’ campaign did him little good, it was also very bad news for the remnant of the line of Hammurabi, who were still ruling in Babylon. They never recovered control of their kingdom and as the Hittites withdrew, the Kassites invaded from the East and much as had happened in the Hurrian kingdom, a Kassite warrior elite replaced the dynasty of Hammurabi as the rulers of the Babylonian kingdom. There is some evidence that the Kassites may have been allied with the Hittites in the taking of Babylon and that control was their reward once the Hittites retreated. It is interesting to note that the Kassites had also by this time acquired the knowledge of the use of the 3 man light chariot, possibly as a result of their alliance with the Hittites, whilst there is no evidence from the records that this had yet become part of the Babylonian military armoury. Whilst the Kassites took control of core Babylonian territory, they seemed to have had little or no interest in the lands to the north and north-east and consequently, we see at this time the rise of an Assyrian kingdom, and beyond them, the re-expansion of MIttani territory. In the west, the Amorites continued to control Yamhad. They were under pressure from the Hittites and later the resurgent Assyrian Empire. Around 1200 BCE they finally are replaced by, or absorbed into, a new wave of Semitic speaking immigrants, part of the Ahlamu peoples whom we know as the Arameans and from whom the ancient name for Syria, Aram and the dialect of the Semitic language, Aramaic are taken. Like the Amar, they seem to be a people from the mountains of Northern Syria and seem to have lived a lifestyle very similar to the Amorites. The Fertile Crescent looked very different from what it had during the four or five previous centuries. A system of flourishing states whose centres of power were in close contact with one another, spreading from the Mediterranean coast to the Persian Gulf had disappeared. Some centres still existed, but on the whole, they were a poor reflection of the past illustrious and famous predecessors. Urbanism was at an all-time low. Many cities such as Mari had been destroyed and others had been abandoned. There was a distinct lack of centralised power, discontinuation of administrative and scribal practices and the levels of economic and cultural activities decreased. It is a time about which we know very little as texts were sparingly written. New groups began to assert themselves, the Kassites in Babylon and the Hurrian/Mittani in the north but these groups had returned to a much more tribal organisation. My last offering on the history of the Fertile Crescent brought us to around 2100BCE with the fall of the Akkadian Empire and the house of Sargon the Great. Over the following years in the east there followed a succession of localised regional kingdoms and little is known of their culture and history. This was a period of great political and social uncertainty. States and kingdoms came and went, many rose and fell in a short time, waging war for the control of the prime fertile agricultural land of the area. The rulers were mostly military men who vied for power and joined in ever-changing alliances amid much betrayal. But gradually there was an order established. One of the major groups involved in this period were the Martu or Amar but better known today as the Amorites. These are first mentioned in the writings of the Akkadian kingdoms dating from around 2200 BCE when there are references to the land of the Martu or the Mountains of the Martu. It is believed that these were the mountainous regions in the NW of modern-day Syria. 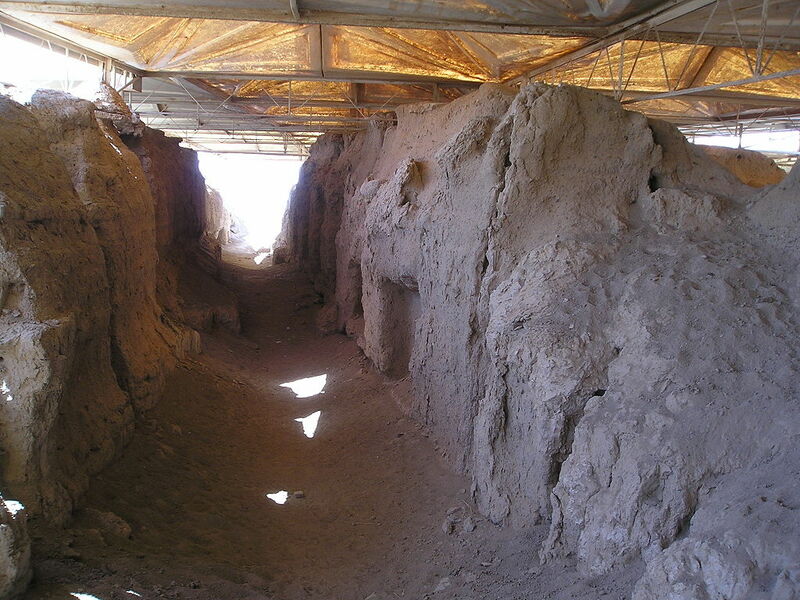 At least 2 campaigns were fought by the Akkadians against the Martu. prepared wheat and gú-nunuz (grain) as a confection, but an Amorite will eat it without even recognizing what it contains! They also give us an insight into the way the Martu lived and the scant evidence that is available suggests they were wandering nomadic tribes who occupied the Syrian and coastal plains moving from place to place with their herds. Despite these disparaging references, there are others which tell of Martu or Amar troops fighting as mercenaries for other emerging city-states. So their military prowess was recognised and valued by their neighbours as mercenary forces and it is likely that this lead to the widespread expansion of Amorite influence across the Fertile Crescent in the years that followed. 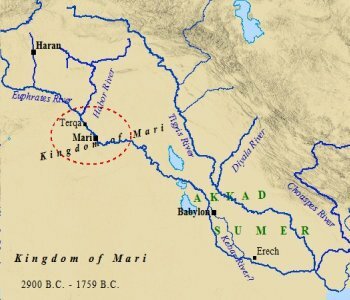 In the north and the west of the fertile crescent, two kingdoms arose to take the lead, Mari and Yamkhad. Little is known about the kingdom of Yamkhad, which probably occupied what today is Syria and Lebanon. There have been no internal written records found and what we do know comes from the records of surrounding countries. This was the Amorite homeland. It is very possible that Yamkhad was never a kingdom as such, but more an area controlled by a loose confederation of tribes who banded together only in the face of external danger. Mari, however, was a classical city-state. Previously powerful it had gone through a decline and may have even been abandoned. However, it entered a new phase when a new ruling dynasty, a group of Amorites took control of the area establishing Mari as their capital. The first recorded leader, Yahdun-Lim is an interesting character. Despite his presumed “Western Levantine” origins, he re-introduced the Akkadian language and writing style as standard and also the Akkadian practice of using year names. I find it very interesting that he did this and I wonder if he was in fact already used to these having served as a mercenary in one of the post-Akkadian states where he had first encountered this language and customs. These reforms and his subsequent actions do not seem to represent the actions of a someone from a nomadic, non-writing culture. Alternatively, it may be that he came from a remnant of an Assyrian ruling family which had stayed on the western part of the Empire following its fall and that his conquest took a west to east direction. There is some evidence that some old Akkadian colonies in Asia Minor, had continued to flourish beyond the empire’s demise under the continuing leadership of a ruling Akkadian elite. Yahdun-Lim embarked on a massive rebuilding programme and the Royal Palace of Mari became renowned throughout the region for its size and opulence. He quickly established Mari the dominant state in the area, with territory reaching from the Lebanese mountains in the west to the Tigris in the East. His impact was not only military as he seems to have worked on the irrigation systems to increase agricultural output of the area. However, such success, as we have previously seen was no guarantee of survival. As Yahdun-Lim’s forces pressed east they encountered the newly emergent kingdom of Upper Mesopotamia, led by their king Shamshi-Adad. Shamshi-Adad is also something of a mystery character. In some sources, he’s also referred to as an Amorite, but in others, we are told that he is of Assyrian descent. It has been suggested that he was the son of the ruler of the city of Ekallatum, which although it has never been located, was thought to be in the vicinity of Assur. This hypothesis suggests that he ruled there for about 10 years in the 1830s BCE, but was forced to leave when the city was conquered by forces from Eshnunna. He spent seven years in exile before returning to reclaim the throne, thereafter rapidly expanding the borders of his empire. It was inevitable therefore that these two rapidly expanding kingdoms should come into conflict. This conflict seems to have produced a stalemate for some time, but around 1798 BCE Yahdun-Lim was assassinated and replaced on the throne of Mari by his son, about whom the records tell us very little. What we do know is that two or three years later the kingdom of Mari fell to the forces of Shamshi-Adad and he placed his youngest son Yasmah-Addu on the throne as ruler. There followed a period of remarkable stability in the area which would last some 20 years. However, in 1776 BCE, Shamshi-Adad died and Yasmah-Addu disappears from the historical record. It is uncertain exactly what happened but it seems likely that with the old King’s death, his empire just fell apart. Once again the area fragmented and new city-states rose up including one at Mari. The new King at Mari, Zimri-Lim quickly established control over the old Empire and much of Shamshi-Adad’s western kingdom. He appears to have been a remarkable diplomat establishing strong ties with the kingdoms to his East, especially newly emergent Babylon and with the Amorites in the West. The chief threat to the empire seemed to be from the peoples of the northern Zagros Mountains, the Lulubis and the Gutians. A campaign against the Lullabi led to the carving of the “Victory Stele of Naram-Sin”. The Victory Stele depicts him as a god-king climbing a mountain above his soldiers, and his enemies, the defeated Lullabi. 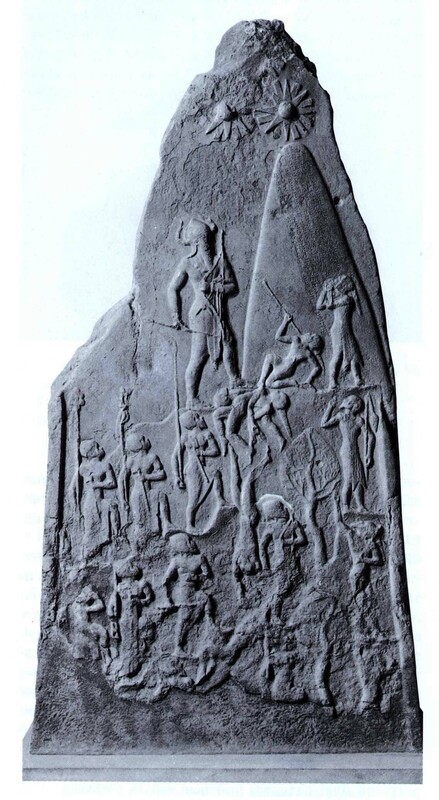 Although the stele was broken off at the top when it was stolen and carried off by the Elamites, it still reveals the pride, glory, and divinity of Naram-Sin. 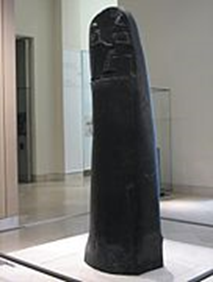 The stele was found at Susa, and is now in the LOuvre Museum. Hittite sources claim Naram-Sin of Akkad ventured into Anatolia, battling the Hittite and Hurrian kings. Naram-Sin reigned for 36 years and was succeeded by his son Shar-kali-Sharri who in turn reigned for 24 years. On his death there are two years unaccounted for before his son Dudu is recorded as King. Dudu reigned for 20 years and was succeeded by his son Shu-durul. Little is known about this period. The empires control on its territories does seem to have weakened with a number of reports of rebellion. Who was king? Who was not king? Irgigi the king; Nanum, the king; Imi the king; Ilulu, the king—the four of them were kings but reigned only three years. Dudu reigned 21 years; Shu-Turul, the son of Dudu, reigned 15 years. … Agade was defeated and its kingship carried off to Uruk. The line of Sargon the Great came to an end with the invasion, in 2154, of the Gutians from the Zagros Mountains. 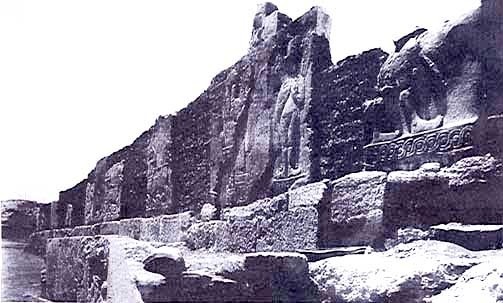 We know they captured and sacked the Akkadian capital although after this they almost vanish from our history. They may have stayed in the Akkadian regions as they are mentioned again in the reign of the Sumerian King Ur-Nammamu, who reigned from 2112-2095 who is recorded as droving them from Mesopotamian lands, but this may also relate to another invasion from the Zagros. One shekel’s worth of grain was only one-half quart. . . . There is of course one major problem with this account as it misses out the 24 year reign of Shar-kali-Sharri, the 2 year gap, the 20year reign of Dudu and the 15 years of Shu-Turul by setting the destruction in the reign of Naram-Sin. Sargon was regarded as a model ruler by Mesopotamian kings for some two millennia after his death. The Assyrian and Babylonian kings who based their later empires in Mesopotamia saw themselves as the heirs of Sargon’s empire. 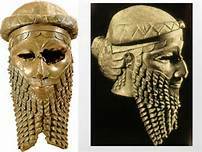 Sargon may indeed have introduced the notion of “empire” as understood in the later Assyrian period; the Neo-Assyrian Sargon Text, written in the first person, has Sargon challenging later rulers to “govern the black-haired people” (i.e. the population of Mesopotamia) as he did. SArgon I was a king of the Assyrian period presumably named after Sargon of Akkad. An important source for “Sargonic heroes” in oral tradition in the later Bronze Age is a Hittite (15th century BC) record of a Hurro-Hittite song, which calls upon Sargon and his immediate successors as “deified kings” . 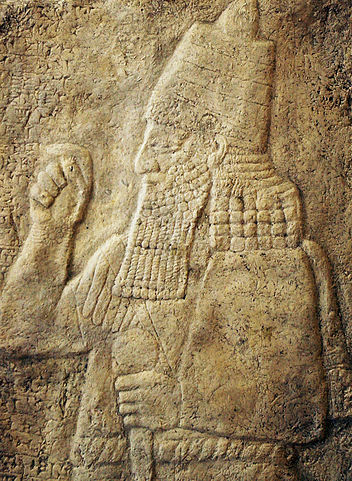 Sargon IIwas a Neo-Assyrian king also named after Sargon of Akkad. Neo-Babylonian king Nabonidas, in the 6th century, showed great interest in the history of the Sargonid dynasty, and even conducted excavations of Sargon’s palaces and those of his successors. The Akkadian empire despite being the first empire in the ANE and despite any problems it may have had with holding in check the desperate national groupings and factions contained within it was ultimately a stable and successful one. Of its 6 Kings, the shortest reign was 9 years, 4 reigned for over 20 years and two reigned for over 50 years. It I many ways set up what was to follow in the ANE. Its amalgamation of single-city states into a large corporate empire changed history. Over the preceding years the fortunes of individual cities had waxed and waned. As one and then another gained a dominance over the others. However one mark of this era seems to have been that even if beaten in battle, the city states remained independent and although tribute and concessions may have been the price of defeat it seems that rarely was the independence of a city forfeited. They had the concept of over-king or King of Kings but each city-state remained an independent viable entity, but all of that was about to change. The situation in the eastern fertile crescent started to change around the year 2340 BCE when the Akkadian Empire began to take shape and grow. It takes its name from the region and city of Akkad, both of which were localised in the general confluence area of the Tigris and Euphrates Rivers. Its policy showed a marked change from the preceding era as the Akkadians under their leader Sargon began to take direct control over a number of the city states in the Sumerian region. We know little about Sargon’s background. He is referenced in the Sumerian King List and in much later Assyrian documents which were discovered in the Library of Ashurbanipal at Nineveh. In fact his name in Akkadian was Sarru-ukin or Sarru-ken. The name Sargon comes from the Hebrew or Aramaic version of the name of a much later Assyrian King, Sargon the second, who was named after his predecessor. The Akkadian name means ‘the established King’ or ‘the king who has established stability’ and is unlikely to have been his real name. As with many ancient regal names they seem to be more descriptions of kingly roles or titles than actual personal names. But for the purpose of this paper I will continue to use the name we are familiar with. Sargon, according to the available sources, was born the son of a gardener, La’ibum and according to one 7th century Assyrian document, his mother was a priestess. He became the cupbearer to Ur-Zababa, the King of Kish, one of the Sumerian city states. 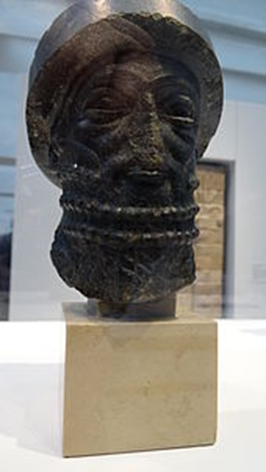 Details of his early story are rather sparse – One Sumerian source records that after he had grown he went to Kish and Ur-Zababa appointed Sargon as his cup-bearer. One night Ur-Zababa invited Sargon to his chambers to discuss a dream of Sargon’s, involving the favour of the goddess Inanna and a vision of the drowning of Ur-Zababa by the goddess. Deeply frightened by the portents of this dream, Ur-Zababa orders Sargon murdered, but the Goddess Inanna prevented it. When Sargon returned to Ur-Zababa, the king became even more frightened and decided to send Sargon to the king of Uruk with a message on a clay tablet asking him to slay Sargon. Unfortunately, the next section of the story which describes how Sargon came to be the ruler of Kish is missing, but from other sources it seems at some point he assassinated his master, recruited an army of Akkadians and proceeded to start to conquer the other cities of Sumer. 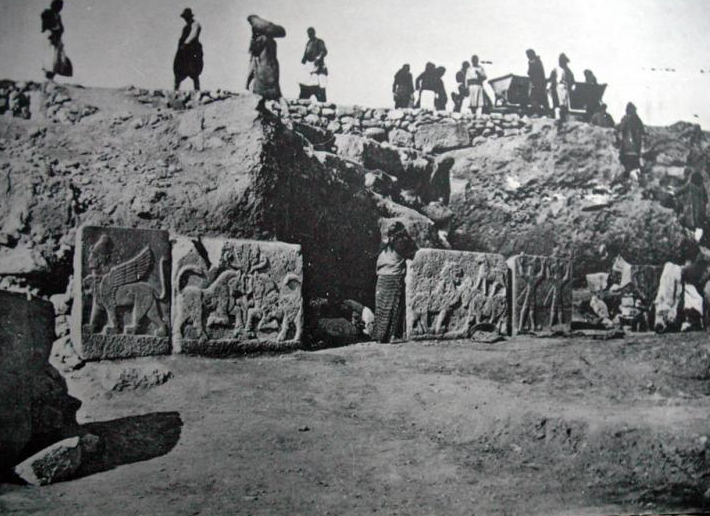 He also had a liking for collecting titles: some were fairly straightforward – King of Kish; King of Sumer; King of Akkad, but others represented his connection to the gods: Ensi of Enlil, the God of winds or appointed of Auo, God of the heavens or Lord of the Universe. At some date during his reign of around 55 years he moved the capital of his empire from Kish to the city of Akkad. There has been much discussion about where this city actually was and whether or not it pre-dated the arrival of Sargon or whether it was a new city built by Sargon. If it was a pre-existing city was it originally called Akkad or was it renamed. These are all questions to which there is no definite answer. The only clues are inscriptions that have been found claim that Sargon ‘built Babylon in front of Akkad’ or that Sargon ‘dug up the soil in the pit of Babylon and made a counterpart next to Agade’ but these were written much later in the time of the Neo-Assyrian empire. Although the location of the city of Akkad has not yet been identified, it is known from various textual sources. Among these is at least one text predating the reign of Sargon. This together with the fact that the name Akkad is of non-Akkadian origin, may suggest that the city of Akkad was already occupied in pre-Sargonic times. Contemporary sources are rare. Two inscriptions can be seen in the Louve in Paris which are considered contemporary. In these, he is referred to as ‘ King of Akkad, overseer of Innana, King of Kish, anointed of Anu, King of the land, Governor of Enlil’. This description is also found on an inscription found at Nippur which celebrates the conquest of Uruk and the defeat of King Lugal-zagesi, whom Sargon, it informs us brought in a collar to the gate of Enlil. This is believed to have been one of the earliest victories as Sargon’s forces enlarged the boundaries of his new empire. Sargon’s forces went on to conquer the city states of Ur, Ninmar, Umma, Mari and Elam. Ancient records claim he conquered more than 34 cities. A group of four Babylonian texts, known as the “Sargon Epos” show Sargon as a military commander asking the advice of a number of subordinates before going on campaign. The narrative of Sargon, the Conquering Hero is set at Sargon’s court, in a situation of crisis. Sargon addresses his warriors, praising the virtue of heroism, and a lecture by a courtier on the glory achieved by a champion of the army, a narrative relating a campaign of Sargon and a concluding oration by Sargon listing his conquests. The narrative of King of Battle relates Sargon’s campaign, or perhaps a raid, against the Anatolian city of Purushanda in order to protect the rights of Akkadian merchants. Interestingly versions of this narrative have been found in both Hittite and Akkadian script. The narrative is anachronistic however, portraying Sargon in a 19th-century setting. The same text mentions that Sargon crossed the Sea of the West (most likely the Mediterranian) and ended up in Kuppara, which some authors have interpreted as the Akkadian word for Keftiu, an ancient locale usually associated with Crete or Cyprus. He had neither rival nor equal. His splendour, over the lands it diffused. He crossed the sea in the east. In the eleventh year he conquered the western land to its farthest point. He brought it under one authority. He set up his statues there and ferried the west’s body across on barges. He stationed his court officials at intervals of five double hours and ruled in unity the tribes of the lands. He marched to Kazallu and turned Kazallu into a ruin heap, so that there was not even a perch for a bird left. However, there was a flip side to the hero-myths of Sargon’s conquest, it also seems that this was not an easy empire to control. The Chronicle of Early Kings tells us ‘Afterward in his old age all the lands revolted against him, and they besieged him in Akkad; and Sargon went onward to battle and defeated them; he accomplished their overthrow, and their wide spreading host he destroyed. Afterward he attacked the land of Subartu in his might, and they submitted to his arms, and Sargon settled that revolt, and defeated them; he accomplished their overthrow, and their wide spreading host he destroyed, and he brought their possessions into Akkad. The soil from the trenches of Babylon he removed, and the boundaries of Akkad he made like those of Babylon. But because of the evil which he had committed, the great lord Marduk was angry, and he destroyed his people by famine. From the rising of the sun unto the setting of the sun they opposed him and gave him no rest. When Nebuchadrezzar died in 562 he was followed by his son Evil-Merodach but his reign was short. According to one source ‘he managed affairs in a lawless and outrageous fashion’. Another says he paid little heed to his counsellors or the temples. He was certainly deposed and probably murdered within the year at the behest of his Sisters Husband Neriglissar, who took the throne. He died a few years later following a military campaign and was succeeded by his son, who in turn was killed by Nabonidas who came to the throne in 556. His claim to the throne is not clear as his heritage was Assyrian, having been born in the city of Harran, once briefly the capital of the Assyrian Empire. Inscriptions imply that he came from a lowly background. The records do however, suggest that he might have been married to a daughter of Nebuchadrezzar and so although he had no claim to the throne, his son did as a grandson of the great King. This could be borne out by the fact that Nabonidas reigned in a power-sharing arrangement with his son Belshazzar (of the feast and writing on the wall fame). Belshazzar was noted as being a good soldier, but a poor politician who had a knack of upsetting people by his actions. Amongst these were the religious and military elites of the kingdom. The reason for the former is clear as he and his father suppressed the worship of Marduk, the traditional god of Babylon in favour of the moon god. The most likely reason for this is that Nabonidas’ mother was the high priestess of the Moon God Temple in Harran. The Persians King Cyrus was becoming very popular in Babylon. 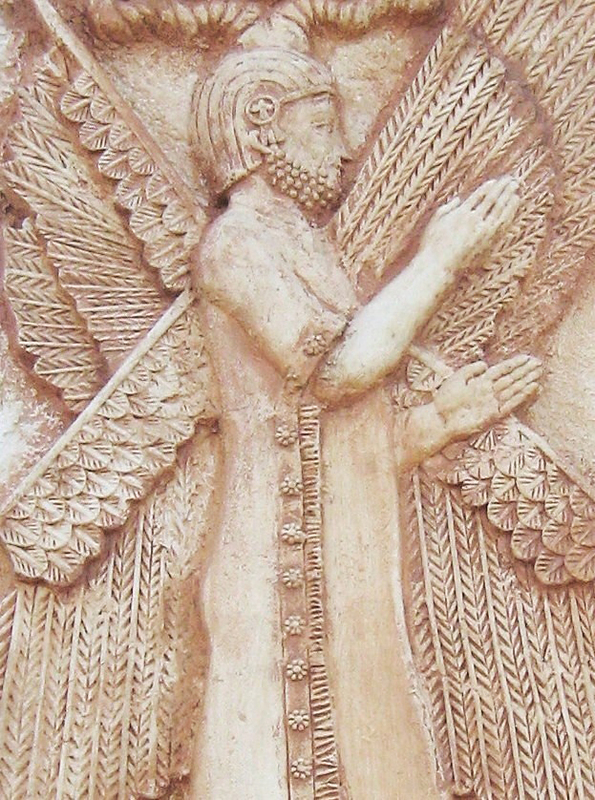 In contrast to Nabonidus and Balthasar, Cyrus portrayed himself as the saviour of the true Babylonian religion, chosen by Marduk to restore order and justice and the worship of Marduk to the people of Babylon. Cyrus invaded Babylon in 539 and within a few years the whole Neo-Babylonian empire was under Persian rule. Nebuchadrezzar was not just a mighty warrior, he was also a patron of cities and a spectacular builder. He rebuilt all of Babylonia’s major cities on a lavish scale. The city of Babylon during his reign covered more than three square miles, surrounded by moats and ringed by a double circuit of walls. The Euphrates flowed through the centre of the city, spanned by a beautiful stone bridge. At the centre of the city rose the giant ziggurat called Etemenanki, “House of the Frontier Between Heaven and Earth,” next to the Temple of Marduk. 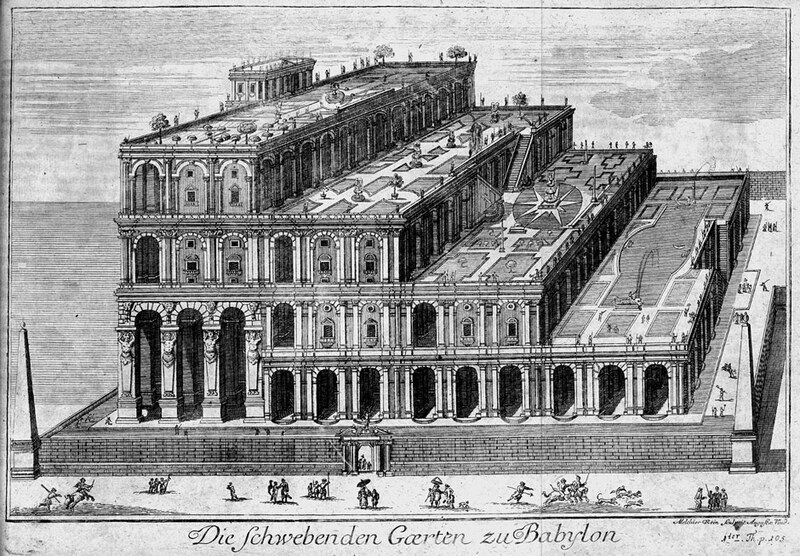 He is also credited with building the legendary Hanging Gardens of Babylon. According to one legend, he built the Gardens for his Median wife, Queen Amytis, because she missed the green hills and valleys of her homeland. He also built a grand palace that came to be known as ‘The Marvel of the Mankind’. In 601 BC, Nebuchadrezzar was involved in a major, but inconclusive battle, against the Egyptians, probably somewhere in the southern Levant. In 599 BC, he invaded Arabia and routed the Arabs at Qedar. In 597 BC, he invaded Judah and captured Jerusalem and deposed its king Jehoiachin. Egypt and Babylon continued to vie with each other for control of the southern Levant throughout much of Nebuchadrezzar’s reign. Egypt’s policy was usually to do this by proxy, by encouraging the Levantine states to rebel and promising them aid. It is not always clear from the accounts whether these promises were actually fulfilled. It was probably these promises, and a civil war in Babylon, which encouraged king Zedekiah of Judah to revolt. It took the Babylonians two years to sort out their problems at home but in 586 the might of the Babylonian army descended into Judah culminating in the siege of Jerusalem. This time the Egyptians did mobilise an army to support the Judaean revolt, but Nebuchadrezzar merely broke off the siege , gave battle, defeated the Egyptian army and then returned to the besieging Jerusalem. After an 18-month siege, Jerusalem was captured, and thousands of Jews were deported to Babylon, and the city, including Solomon’s Temple and Palace was razed to the ground. By 572 Nebuchadrezzar was in full control of Babylonia, Assyria, Phoenicia, Judah, Israel, Philistia, northern Arabia, and parts of Asia Minor. In 568 BC during the reign of Pharaoh Amasis, he invaded Egypt. A clay tablet, now in the British Museum, states: “In the 37th year of Nebuchaddrezzar, king of the country of Babylon, he went to Mitzraim (Egypt) to wage war. Amasis, king of Mitzraim, collected his army, and marched and spread abroad.” Unfortunately there appears to be no record of the aims or outcome of this campaign, but it does not seem as though the Babylonians were able to establish any territory in Egypt. Once the capital Nineveh had fallen the Assyrians began to withdraw west and moved their capital west to Harran. When Harran was captured by the Babylonians in 610 BC the capital was once again moved, this time to Carchemish, on the Euphrates river. Egypt had by this time realised that the rising Neo-Babylonian empire was ever expanding in their direction and therefore at sometime around 610 they entered into an alliance with the Assyrian king Ashur-uballit II, and in 609 BC sent an army north to aid the Assyrians against the Babylonians. It is interesting to consider how late they left this decision. Carchemish was the Assyrians last stand, their last hope of survival and even if they had won there was little left of the Assyrian empire. To my mind the most likely scenario would be that by this time the end was inevitable even if they escaped it in 609. The Egyptian army of Pharaoh Necho II marching north to aid the Assyrians was delayed at Megiddo by the forces of King Josiah of Judah. During the battle Josiah was killed and his army was defeated. But why did Josiah attack the much larger army of the Egyptians? Did he think that if the Assyrians were defeated then Judah would be freed from subjugation? Was this attack a deliberate delaying tactic to slow the Egyptian reinforcements down? If so it partially worked as by the time the Egyptians arrived the Babylonians had forced the Assyrian army to withdraw across the Euphrates. The Egyptians and Assyrians came together on the west side of the river, crossed it and laid siege to Harran, which they failed to retake. They then retreated back towards Carchemish and the river Euphrates. The Egyptian / Assyrian army met the might of the Babylonian army led by Nebuchadrezzar II, the son of Neblopolassor, near Carchemish where the combined Egyptian and Assyrian forces were soundly defeated. Assyria ceased to exist as an independent power, and Egypt retreated and would never again be a significant force in the Fertile Crescent. Sennacherib’s son, Esarhaddan , who reigned from 681 to 669 is noted for two events. In 680, he commenced the rebuilding of the city of Babylon and re-established it as a client kingdom. From 675 to 671 he launched a campaign into Egypt, which resulted in the Assyrians occupying Memphis, the Nile Delta and the lower valley. [map4]. However, these gains were to be short lived as in 669 the Egyptians rebelled and Ashurbanipal II, who had succeeded his father, fought a six-year campaign before the Assyrians were forced to admit defeat and withdraw back to their border at the southern end of the Levant. His reign was also marked by continued rebellion in Babylonia. Ashurbanipal is best remembered for the building of the great library at Nineveh from the contents of which much of our knowledge of the ancient near East comes. Tablet from the library of Ashurbanipal. Following his death, his sons waged Civil War for the throne of Assyria. Nablopolassar, the client King of Babylon took advantage of this situation and declared himself King of an independent Babylonian kingdom in 620. It seems that the weakened Assyrians were unable to respond. In 615 Nablopolassar made an Alliance with the Medes, and their clients, the Persians, and declared war on Assyria. A 5 year campaign followed as the Allies gradually gained territory from the Assyrians. Nineveh finally fell in 612 following a three-year siege and the Babylonian forces completely destroyed the city to ground level. It seems likely that this was payback for the destruction of Babylon by Sennacherib in 689. In 853 BCE Shalmaneser III was defeated by a Levantine Alliance, led by Aram and Israel. However, the campaigns of Tiglath-Pilessar III from 745 expanded the Assyrian empire further west with the inclusion of the Phoenician port cities as client kingdoms. This gave the Empire access to the trade routes of the Mediterranean. Sargon the second (721 to 705) continued the expansion taking into the Empire parts of the old Hittite kingdom; This brought under Assyrian control parts of the Hittite kingdom; Phoenicia and Israel and established client kingdoms in Judah, Philistia and Babylonia. The reign of Sennacherib is one of mixed fortunes for the Empire. Perhaps best remembered for his campaign in Judah, notably the siege and sack of Lachish and the siege of Jerusalem. He also faced major rebellions in Babylonia and in 689, Babylon was sacked and razed to the ground and the province of Babylonia was annexed into the Assyrian Empire. In the North of the Empire, a great deal of effort was needed to contain the raids of peoples from the Caucuses down the land corridor between the Black Sea and the Caspian Sea. In the North West the Assyrians encountered, with less than successful results, the Phrygian Kingdom, who had by this time annexed the western part of the old Hittite Empire. However if we look at Sennacherib’s version as seen on the Taylor Prism it reads very differently “As for Hezekiah, the Jew, who did not submit to my yoke, 46 of his strong walled cities, as well as the small cities in their neighborhood, which were without number, by escalade and bringing up siege engines (did I destroy)… Himself, like a caged bird, I shut up in Jerusalem, his royal city. ‘ He then goes on to tell that he extracted a huge tribute from him which when paid he took back to Nineveh, which was why he lifted the siege. 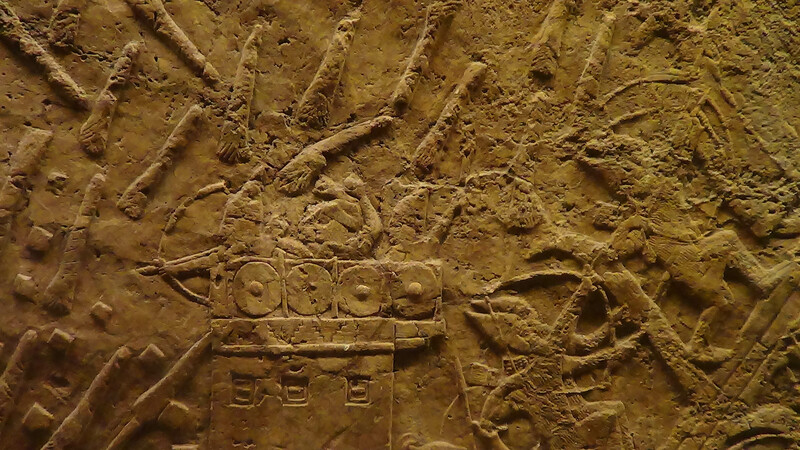 What we do know is that Sennacherib made far more of his campaign against Lachish than he did of the siege of Jerusalem as witness the wall murals from his palace at Nineveh, which are in the British Museum. Sennacherib died in 681. What is clear is that he was assassinated. What is less clear is the why and the how. There is a story that this happened whilst he was praying in the temple. 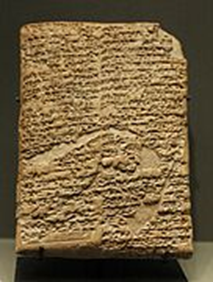 Some sources in the later Babylonian Chronicles name his son as the guilty party although other sources give different identities to the killer. Between 1206 and 1150 BC, the cultural collapse of the Mycenaean kingdoms, the Hittite Empire in Anatolia and northern Syria and the New Kingdom of Egypt in southern Syria and Canaan interrupted trade routes and severely reduced literacy. In the first phase of this period, there is evidence that many cities were violently destroyed, and often left unoccupied thereafter: examples include Hattusa, Mycenae, and Ugarit. The civilisations of the eastern fertile crescent fared only a little better. The Assyrian Empire came under attack from the Mushki, a people who had moved into Anatolia following the collapse of the Hittite Empire. It is thought that they were probably from the area of modern-day Georgia or Armenia. 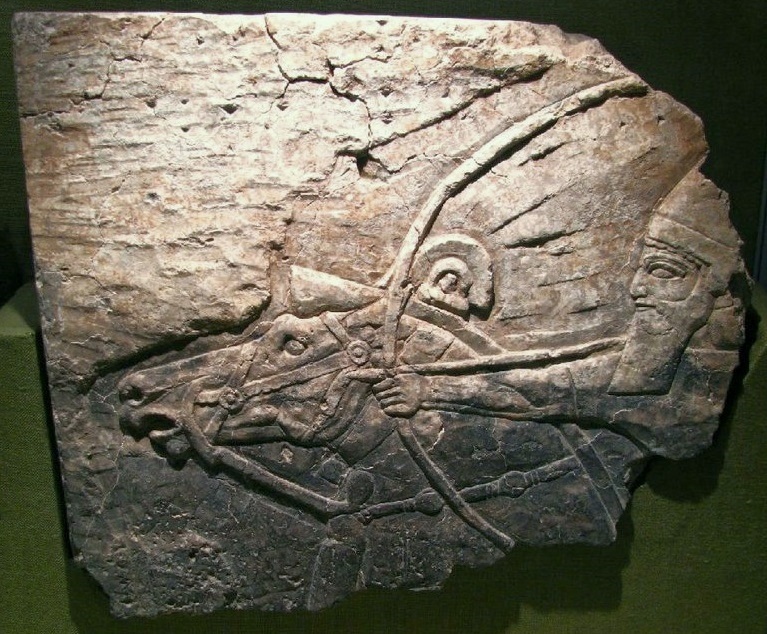 However, the Assyrians were able to defeat and repel these attacks. Thus, the Assyrian Empire survived, if in a somewhat reduced state, throughout much of this period. Assyria retained a stable monarchy, the best army in the world and an efficient civil administration, thus enabling it to survive the Late Bronze Age Collapse relatively intact and this put them in the prime position to rebound from this dark age. From the late 10th Century BC onwards, it began to assert itself internationally once again. Around the year 910, the kingdom of Ashur or Assyria once again began to expand south-east into Babylonia and West to the Mediterranean coast. This would eventually become known as the neo-Assyrian Empire. They encountered very little resistance. In Babylon, the Kassites had been replaced by a Chaldean or Aramaean ruling class. These were people had come east out of the desert and taken control of the kingdom possibly sometime between 1100-1000 BC. Records show that there was a constant tension between the native Babylonians and their Chaldean rulers. It has been suggested that this made the ruling class inward looking, concentrating on the prevention of internal rebellion and so not reacting till it was too late to the advances of Assyria. In the lands to the West, the population now consisted of Aramean tribesman who had moved into the grasslands of Syria. There is no evidence of any pan-tribal organisation and it is probable that the Assyrian army were able to pick them off individually. In Egypt, the Libyan rulers of the 22nd to 24th dynasties had little interest in what was happening in the Levant and Mesopotamia, regarding Egypt as merely as a buffer state to their own homelands in north Africa. In addition to these political reasons, there was also one overriding practical reason, which may explain the speed at which the neo-Assyrian Empire was able to expand. Babylon, Egypt and the tribes of the Syrian grasslands all lacked access to the new wonder material of weapon making – iron. In contrast, Assyria had access to rich deposits, both in the Armenian highlands to the North and in the Zagros mountains to the East. Their relationship to these lands is unknown, but there clearly was some relationship, both in the supply of resource materials and from the fact that it is recorded that tribesman from these areas formed part of the Assyrian military force from an early stage. Relatively quickly, we also find records of Aramean forces fighting for the Assyrian Empire. This may be reminiscent of the Roman use of foreign troops or perhaps the Gurkhas in the British army. What was the advantage to these troops? – well certainly employment and the prospect of loot, but it may have gone farther than that. 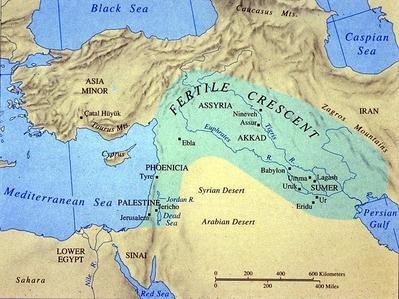 It has been speculated that, unlike in other kingdoms of the fertile crescent, the definition of being Assyrian was a political designation rather than an ethnic one. Thus, if you spoke Akkadian, were loyal to the Assyrian king and fought in the army or were loyal and diligent in royal service then you were defined as an Assyrian citizen with the benefits that may have brought.